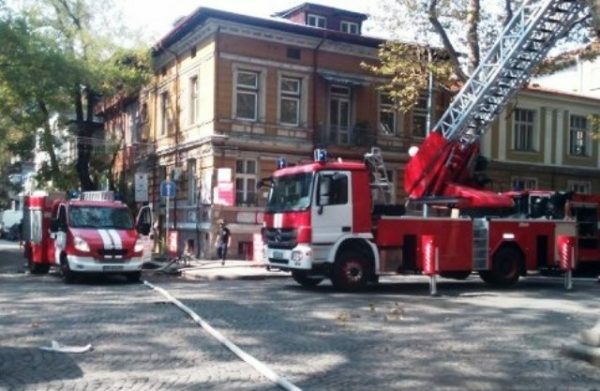 More than 10 firefighting teams were battling a blaze in abandoned warehouses in the “Tobacco Town” precinct of Bulgaria’s second city Plovdiv on August 20. The fire, at abandoned tobacco warehouses at 13 Exarch Yosif Street, at the corner of Ivan Vazov Street, was reported soon after mid-afternoon. By late afternoon, the fire had covered the roofs of two of the warehouses. Residential buildings nearby were evacuated and the area cordoned off as firefighters struggled not only to contain the blaze but also to prevent it spreading to nearby buildings. Traffic from Ivan Vazov Street was closed. There were no immediate reports of injuries, and while the fires were still burning, no indication of the cause of the blaze. As the fight to extinguish the flames continued, damage was expected to be extensive. The buildings are part of an ensemble of structures dating back to the early decades of the 20th century, a time when Plovdiv had an important place in the Balkan tobacco trade. They are meant to be protected by law. The fire comes some months after the March 6 2016 attempt to demolish a tobacco warehouse in Plovdiv’s Odrin Street, not far from the site of the current fire. The demolition attempt of the protected building was reportedly to make way for a luxury hotel development. In connection with the Odrin Street case, Plovdiv’s chief architect and the building’s owner now face numerous criminal charges. They deny wrongdoing. Plovdiv news website podtepeto.com said that a resident of Ivan Vazov Street, commmenting on the August 20 fire, said that the warehouses had been abandoned for years, and grasses, shrubs and small trees had grown on the roofs. Withered in the rays of the sun, it was possible that they had caught fire – although, she added, she did not think this was the reason for the fire. The report said that other residents, watching the warehouses burn, said that they suspected arson, but did not want their names on the record.